"It’s painful to see the personal cost of this executive order on our colleagues," Pichai wrote in the memo, a copy of which was obtained by Bloomberg News. "We’ve always made our view on immigration issues known publicly and will continue to do so." 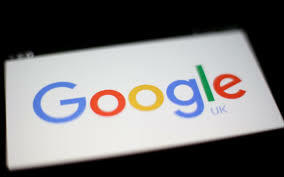 "We’re concerned about the impact of this order and any proposals that could impose restrictions on Googlers and their families, or that create barriers to bringing great talent to the U.S.," a Google spokeswoman said in a statement. "We’ll continue to make our views on these issues known to leaders in Washington and elsewhere." “No one is really sure whether a green card holder from these seven countries can return to the U.S. now. It’s fairly clear that an H-1B visa holder can’t," Benach said. The H-1B lets U.S. companies employ graduate-level workers from other countries in technical occupations such as technology, engineering and science. "If anyone in these situations has the misfortune to have gone abroad recently, it’s a treacherous moment, possibly for green card holders too," Benach said. Microsoft Corp. inserted language in a securities filing on Thursday on the issue, cautioning investors that immigration restrictions "may inhibit our ability to adequately staff our research and development efforts.